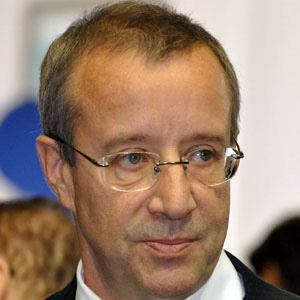 Estonian politician who became the 4th President of the Republic of Estonia in 2006. He served until 2016. He studied at Columbia University and the University of Pennsylvania. He served as Estonian Minister of Foreign Affairs from 1996 to 1998. He was born in Sweden to Estonian refugee parents. He was married twice, first to Evelin Ilves, then to Ieva Ilves in 2016. He fathered three children. He and Siiri Oviir were active in Estonian politics during the same period.